Prof Beales is Head of Genetics and Systems Medicine Theme, Biomedical Research Centre at UCL Great Ormond Street Institute of Child Health, Director of the Centre for Translational Genomics (GOSGENE) and Head of the Cilia Disorders Laboratory (CDL). Dr Victor Hernandez is a Senior Research Associate in the CDL group leading the translational research activities. Their interests are focused on ciliopathies, a class of disorders caused by defects in the formation or function of the cilium. 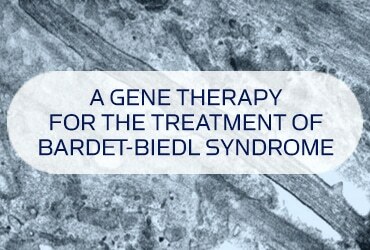 The CDL was instrumental in establishing primary cilia dysfunction as causative in Bardet-Biedl Syndrome (BBS), a genetically heterogeneous disorder characterized by both CNS-driven and peripheral disorders. The collaboration with Apollo has enabled the completion of translational studies that have now demonstrated preclinical efficacy for a novel gene therapy approache for the treatment of BBS.